Creating ‘ownership’ of seed through patents and intellectual property rights and imposing it globally through the WTO, the biotech industry has established a monopoly empire over seed and food. Monsanto and friends, the biotech industry, its lobbyists and its paid media representation continue to push for monopoly control over the world’s food through its seed supply.This “empire” is being built on false foundations: that Monsanto is a creator/inventor of life and hence can own the seed through patents and that life can be engineered and machined like an iPhone. Through ecology and the new biology we know that life is self-organised complexity — life makes itself; it cannot be “manufactured”. This also applies to food production through the new science of agroecology. Agroecology gives us a deeper scientific understanding of how ecological processes work at the level of soils, living seeds and living food. The promises made by the biotech industry — of increased yields, reduction of chemical use and control of weeds and pests — have not been kept. Last month an investment fund sued DuPont for $1 billion for pushing herbicide-resistant crops knowing fully well they would fail to control weeds and instead contribute to the emergence of “superweeds”. Creating “ownership” of seed through patents and intellectual property rights and imposing it globally through the World Trade Organisation, the biotech industry has established a monopoly empire over seed and food. While they claim ownership of the seeds they sell and collect royalties, when it comes to checks and balances on safety, the biotech industry is systematically destroying international and national laws on biosafety claiming their products are “as nature made them”. It’s ontological schizophrenia! Biosafety is the multi-disciplinary assessment of the impact of genetic engineering on the environment, on public health and on socio-economic conditions. At the international level, biosafety is international law enshrined in the Cartagena Protocol on Biosafety. I was appointed to an expert group to evolve the framework by the United Nations environment programmme to implement Article 19.3 of the UN Convention on Biological Diversity (CBD). Monsanto and friends have been attempting to deny citizens the right to safe food by opposing Article 19.3 since the Earth Summit in Rio in 1992. Currently they are attempting to dismantle national laws on biosafety in India, Pakistan, the European Union, across Africa and Latin America. In the United States, they are distorting the Constitution by suing state governments that have passed labelling laws for GMO (genetically modified) foods by claiming that the citizens’ right to know what they eat is superseded by the biotech industry’s right to impose hazardous foods on uninformed consumers as the freedom of speech of a corporation, as if it were a natural person. Their PR machine is deployed to unscientifically attack scientists working on biosafety, such as Árpád Pusztai, Ignacio Chapela, Irina Ermakova, Éric Séralini and myself. Many journalists, having no scientific background themselves, have become soldiers in this PR assault. Privileged white men like Mark Lynas, Jon Entine and Michael Specter, with no practical experience in agriculture, armed only with BA degrees and ties to corporate-controlled media, are being used to undermine real scientific findings about the impact of GMOs on our health and ecosystems. Biotech industry uses its PR puppets to falsely claim that GMOs are a solution to world hunger. This denialism of real scientific debate about how living systems evolve and adapt, is backed by an aggressive and massive PR assault, including the use of intelligence agencies such as Blackwater. In 2010, Forbes named me one of the seven most powerful women in the world for “putting women front and centre to solve the issue of food security in the developing world”. In 2014, Jon Entine, a journalist, wrote an “opinion” piece on the Forbes website, falsely claiming that I have not studied physics. While I have studied physics at a post-graduate level and done my doctorate on the foundations of quantum theory, I have spent 40 years studying ecology in India’s farms and forests, with nature and wise peasants as my teachers. This is the basis of my expertise in agroecology and biosafety. Good science and proven technologies do not need PRs, intelligence agencies or corrupt governments to prove the facts. If unfounded attacks on a scientist from a developing country by a non-scientist is one of their tools in shaping the future, they have got it all wrong. They don’t see the growing citizens’ outrage against Monsanto’s monopoly. In sovereign countries, where the might of Monsanto and friends is limited, the people and their governments are rejecting their monopoly and failed technology. But this news is suppressed by the PR machine. Russia has completely banned GMOs with deputy prime minister Dmitry Medvedev saying, “If the Americans like to eat GMO products, let them eat it then. We don’t need to do that; we have enough space and opportunities to produce organic food”. PR pieces in Forbes and the New Yorker cannot stop the awakening of millions of farmers and consumers to the very real dangers of genetically-modified organisms in our food and the shortcomings and failures of the industrial food system which is destroying the planet and our health. In other words, stay in the US, carry out as much research as you want to, and we’ll knock down lawsuits, pay you for your failures, and support you when you lie and claim your results are positive and pose no risk to human health. However, in the Union of Concerned Scientists report, “High and Dry,” http://www.ucsusa.org/food_and_agricult ... d-dry.html we have this: “Biotechnology companies such as Monsanto have held out the promise that genetic engineering can…[create] new crop varieties that can thrive under drought conditions and reduce water demand even under normal conditions…. “Though the mid-2000’s saw a surge in field trials for crop varieties with engineered drought tolerance traits, as of 2012 only one such variety—Monsanto’s DroughtGard [corn], containing the engineered gene cspB—had been approved by the USDA. Of course it is, because the strategy of injecting a genetic element that will make crops continue to live in a waterless environment is like pretending plant photosynthesis can thrive in a perpetually dark cellar. It’s a straight-out con, a billion-dollar hustle. 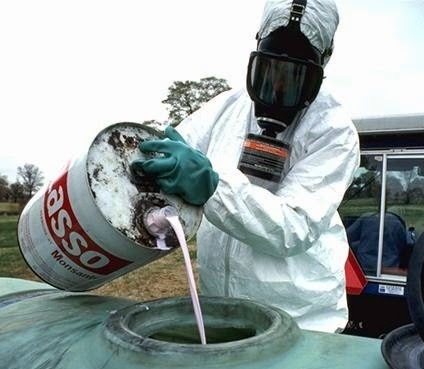 Proponents of genetically modified organisms (GMOs) often proclaim that the technology has been fully vetted in terms of human safety, and that anyone objecting to the continued unlabeled use of GMOs in the food supply is somehow dredging up unfounded conspiracy theories. But the truth of the matter is that GMOs have never been proven safe in humans, as no long-term safety studies involving humans have ever taken place. The biotechnology industry rarely divulges this fact, instead flooding media reports with pejorative attacks on anyone who questions official GMO dogma. GMOs are completely safe, claims the industry, because our science says so. Never mind that short-term corporate studies involving only animals constitute the vast majority of what is held up as solid evidence that GMOs are safe for humans to eat -- if you question GMO safety, you are anti-science, the industry purports. Except this position is no longer generally accepted as valid, as evidenced by the many hundreds of scientists around the world who have signed onto a joint statement condemning current GMO policy as "irresponsible." Registered dietitian Carole Bartolotto also agrees, discussing the problems with GMO science in a recent piece for Huffington Post. Though animal feeding studies are often used to gain a better understanding of how certain foods or substances may impact humans, they are surely not a definitive assessment tool for declaring, without a doubt, exactly what this impact will be in every case. And yet, this is how virtually all short-term animal feeding studies involving GMOs are presented, as if they are the gospel truth when it comes to GMO safety. "Animal studies have value in that if something demonstrates harm in animals, it will also likely cause harm in humans," wrote Bartolotto. "Although some animal studies have found harm from a GMO diet, these hotly debated studies are not the point of this article. The point is, if an animal study does not find harm with a particular substance, it could still cause harm in humans." his is an important distinction that is often overlooked in the GMO debate. If GMOs are really safe for humans as is commonly claimed, then why have no long-term, epidemiological studies on humans ever been conducted? And why do most of the animal feeding studies supposedly showing that GMOs are safe only cover a time period of about three months? These are valid questions that deserve valid answers, yet asking them will most likely evoke accusations of Luddism -- what, you don't like GMOs? You must hate science! These types of baseless personal attacks are the bread and butter of the pro-GMO crowd, which hates being questioned about anything. But they very directly expose the intellectual dishonesty that is inherent within this powerful lobby. If questioning the prevailing GMO dogma is merely an attempted subversion tactic by those who hate science, then why have nearly 300 scientists from around the world signed onto a joint statement agreeing that GMOs have never been proven safe? There is deep and growing concern within many segments of the scientific community that the wool has been pulled over our eyes, and that biotechnology is probably more dangerous than we're all being told. "To demonstrate the safety of GMO products, one must begin by assuming that they can be harmful, and carry out sensitive tests that are capable of detecting harm," stated Dr. Sheldon Krimsky, a professor of urban and environmental policy and planning at Tufts University, one of the signatories of the statement. "Because rigorous safety testing has not happened with GMO crops, I remain skeptical." A pair of studies recently published in the journal Food and Chemical Toxicology (FCT) reveals the double standard used in evaluating the safety of genetically modified (GM) foods, says Claire Robinson, in a July 11 editorial on the website GM Watch. Yet, in April 2014, FCT published a study by DuPont http://www.naturalnews.com/DuPont.html researchers that supposedly proved the safety of GM "Roundup Ready" canola. 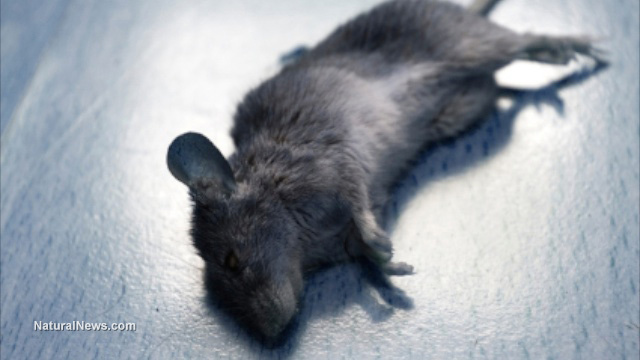 The study used approximately the same number of Sprague-Dawley rats as the Seralini study and was conducted over a much shorter time period -- insufficient to find any long-term health effects. In addition, the DuPont researchers used a shady practice common to GM industry studies: including a variety of "reference" diets to obscure any findings in a sea of useless data. "There is... irony in the fact that we are not allowed to suspect that DuPont's reassuring findings on its own GMO might be a false negative, where a toxichttp://www.naturalnews.com/toxic.html effect exists but is missed because of poor experimental design," Robinson wrote. "But conversely we are expected to believe that Seralini's findings, dramatic as they are, are all false positives and an artefact of the small number of rats used and the rat strain chosen -- two factors which miraculously become acceptable in the DuPont study and many other industry studies." Perhaps even more troubling is a fact pointed out by Seralini and colleagues in a letter to the editor of FCT: The DuPont study actually fed GM food contaminated with herbicides to both groups of rats in the study.http://www.naturalnews.com/study.html Therefore, the finding of "no health differences" provides no useful information. Fifty Members of Congress led by Representatives Peter DeFazio (D-OR-04) and Congresswoman Chellie Pingree (D-ME-01) wrote today to the U.S. Department of Agriculture (USDA) and Environmental Protection Agency (EPA) expressing “grave concerns” over Dow Chemical's Enlist Duo™ herbicide and new varieties of genetically engineered (GE) corn and soy the herbicide mixture would be used with. “In the absence of leadership from the agencies tasked to protect our health, our food, and our environment, it is up to Congress to put pressure on the Obama Administration to do what's right. 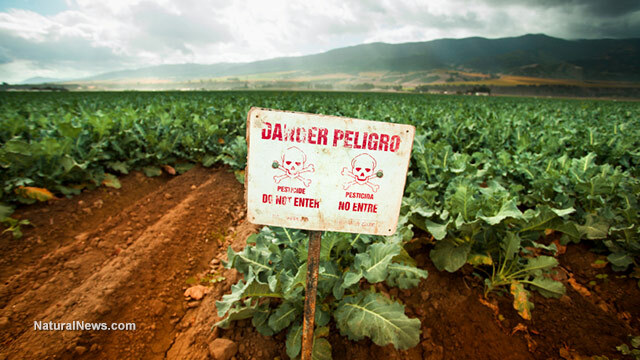 On the cusp of the 5-week August recess, 50 Members of Congress sent a clear message to USDA and EPA: reject the next wave of pesticide promoting crops before it is too late,” said Colin O'Neil, director of government affairs at Center for Food Safety. “If either USDA or EPA had any surprises in store over the August recess, they’d better think again,” added O’Neil. “We request that USDA and EPA fully review the facts, law, and science in this case. …the risks of approving 2,4-D crops are simply too great and benefits too few to jeopardize public health, the environment and the long-term sustainability of our food supply. We therefore request EPA not to register Enlist Duo for use on 2,4-D crops and USDA maintain the regulated status for 2,4-D resistant crops,” write the Members of Congress. USDA and EPA are currently reviewing applications from Dow Chemical for new varieties of GE corn and soybeans and seeking registration to use Enlist Duo™--a mixture of 2,4-D and glyphosate--on the crops. USDA has granted preliminary approval for the crops, while EPA is reviewing the application for more extensive use of 2,4-D.
“We currently stand at an agricultural crossroads. The first generation of 'Roundup Ready' GE crops increased herbicide use by 527 million pounds between 1996 and 2011, triggering an epidemic of glyphosate-resistant 'superweeds' which now infest over 61 million acres across 36 states. 2,4-D crops are among the 'next-generation' of GE crops engineered to withstand applications of older, more toxic herbicides. While they are often touted as a solution to herbicide-resistant weeds, even the USDA’s Animal and Plant Health Inspection Service (APHIS) recognizes in its draft Environmental Impact Statement (DEIS) that deregulating 2,4-D crops will spur the further evolution of 2,4-D resistant weeds and cause a three to seven fold increase in 2,4-D use,” write Members of Congress. Exposure to 2,4-D has been linked to multiple adverse health effects including non-Hodgkin’s lymphoma, decreased sperm count, liver disease and Parkinson’s disease. Further, exposure has also been shown to negatively impact the hormonal, reproductive, neurological and immune systems. In addition, EPA has reported that 2,4-D is the seventh largest source of dioxins in the United States. Dioxins are extremely toxic chemicals, and their bioaccumulation in the food chain may potentially lead to dangerous levels of exposure. Earl Blumenauer (D-OR-03), Robert A. Brady (D-PA-01), Matt Cartwright (D-PA-17), Judy Chu (D-CA-27), David Cicilline (D-RI-01), Yvette D. Clarke (D-NY-09), Gerald Connolly (D-VA-11), John Conyers Jr. (D-MI-13), Peter DeFazio (D-OR-04), Rosa DeLauro (D-CT-03), Keith Ellison (D-MN-05), Anna G. Eshoo (D-CA-18), Sam Farr (D-CA-20), Alan Grayson (D-FL-09), Raul Grijalva (D-AZ-03), Mike Honda (D-CA-17), Jared Huffman,(D-CA-02), Marcy Kaptur (D-OH-09), Ann McLane Kuster (D-NH-02), James Langevin (D-RI-02), Barbara Lee (D-CA-13), Zoe Lofgren (D-CA-19), Alan Lowenthal (D-CA-47), Nita Lowey (D-NY-17), Stephen Lynch (D-MA-08), Betty McCollum (D-MN-04), James McGovern (D-MA-02), Michael Michaud (D-ME-02), Gwen Moore (D-WI-04), James Moran (D-VA-08), Jerrold Nadler (D-NY-10), Grace Napolitano (D-CA-32), Eleanor Holmes Norton (D-DC-01), Bill Pascrell Jr. (D-NJ-09), Chellie Pingree (D-ME-01), Mark Pocan (D-WI-02), Jared Polis (D-CO-02), Mike Quigley (D-IL-05), Charles Rangel, (D-MY-13), Bobby Rush (D-IL-01), Tim Ryan (D-OH-13), Jan Schakowsky (D-IL-09), Adam Schiff (D-CA-28), Louise Slaughter (D-NY-25), Carol Shea-Porter (D-NH-01), Jackie Speier (D-CA-14), Dina Titus (D-NV-01), Paul Tonko (D-NY-20), Debbie Wasserman Schultz (D-FL-23), Maxine Waters (D-CA-43). Frankrijk ziet zijn meest recente poging om de teelt van de genetisch gemodificeerde maïs MON810 te verbieden opnieuw stranden. Dit keer heeft de Europese Commissie de EFSA gevraagd het Franse verbod te evalueren. De EFSA maakt echter 'brandhout' van het ingediende dossier, schrijft Vilt. 'Volgens EFSA blijkt noch uit de geciteerde wetenschappelijke publicaties in het rapport van de Franse autoriteiten over MON 810, noch uit de andere argumenten die Frankrijk aanvoert enige nieuwe informatie die de eerdere risico-beoordeling en riskmanagement-aanbevelingen door het EFSA GMO Panel weerlegt', schrijft AFN. Hoewel de teelt van MON810 op Europees niveau toegelaten is - als enige GGO-gewas - is Frankrijk fel gekant tegen de teelt van GGO-gewassen op haar grondgebied. Het land probeerde daarom binnen de EU op dit gebied een status aparte af te dwingen, een soort 'nationaal zelfbeschikkingsrecht'. Daarvoor moest overtuigend wetenschappelijk bewijs geleverd worden - wat dus niet gelukt is. Het welles-nietes balletje kaatste de afgelopen jaren al vele malen heen en weer. Met deze nieuwe EFSA uitspraak zullen de Franse autoriteiten weer een nieuwe list moeten verzinnen om de Monsanto-mais buiten de deur te houden en hun status als exporteur van GMO-vrije mais te handhaven. Frankrijk lijkt toekomst te zien in een gentech-vrije akkerbouw omdat die nichemarkten opent die minder volatiel zijn in hun prijsvorming dan de algemene commoditiesmarkten voor graan. Wellicht was de aanpak van de Franse senator Marie-Christine Blandin de meest wijze. Zij vroeg de Haut Conseil des Biotechnologies om een oordeel over de veiligheid van GMO's en kreeg als antwoord dat noch de veiligheid, noch de onveiligheid kunnen worden bewezen. Frankrijk kreeg immers reeds gedaan bij de EU dat ieder land zelf mag beslissen over de toepassing van GMO-besluiten voor de EU. Het blijft een hoop gehark. Spuiten met pesticiden is niet zo best. Maar een Monsanto-alternatief ook niet. Zo heeft de genengoochelaar ooit MON 810 ontwikkeld om het verlies aan maiskolven door ongenood bezoek van verschillende insectenfamilies te beperken. Een hele stoot landen in de wereld zagen daar geen been in, maar met name in Europa wel degelijk. Ondanks de goedkeuring in 1998 van de boerenmeisjes en dito jongens van de European Food Safety Authority (EFSA) in Brussel. Volgens de weigeraars bracht MON 810 het plattelandse eco-systeem namelijk naar god en die zal daar ook niet blij mee zijn geweest. De gevolgen voor de nazaten van Adam en Eva zijn nog niet uitgekristalliseerd. Het wetenschappelijke welles-nietes dat na de beslissing van Brussel volgde was in wezen voor noppes. Zo nam het GMO Panel van EFSA een dezer dagen nog een nieuw Frans rapport dat een onvervalst balletje gehakt maakte van MON 810 voor kennisgeving aan. Geen kolfje meer, geen kolfje minder. Volgens het Panel ging het ouwe maiskoek in een nieuwe verpakking. Als het agrarische beleid binnen de Unie eenmaal is gecentraliseerd dan weten we in ieder geval wat ons te wachten staat. Althans, als je van mais houdt. Bezige bij, die John Heinz Kerry. Zoemt als minister van Buitenlandse Zaken van het ene probleem naar het andere op aarde om er ter plekke ketchup van te maken. Maar vorige week was ie effe thuis om een preek te houden tijdens een bijeenkomst tussen de polletieke leiders van de USSA en hun Afrikaanse tegenhangers. Tijdens die voorgang boerde John Heinz ondermeer, dat die domme zwarte keuterboertjes eens moesten stoppen met de uitbreiding van hun landbouwgrond. Al dat afbranden van jungles zorgde namelijk voor de toename van CO2 in de atmosfeer. En misschien wisten ze dat nog niet, maar dat was niet goed voor het leven op aarde. Nou had John Heinz best wel begrip voor de problemen die de Afrikaanse landen kenden met de groeiende vraag naar voedsel. Blote bene ondanks de frisse oorlogen die het continent kende en de recente poging om met ebola die vraag wat binnen de perken te houden. Gelukkig zei John Heinz dat niet, maar toverde een ander giftig konijn uit zijn hoed: de zwarte keuterboertjes moesten hun best doen om meer uit hun lappie grond te halen dan tot nu toe. En ze konden daarbij alle hulp van de USSA krijgen die ze maar wilden. De vriendelijke minister cq. tomatengarch doelde daarbij op de New Alliance for Food and Security dat de USSA in 2012 had losgelaten tijdens het zoveelste rondje neuzelen van de G8. Die Alliance moest ervoor zorgen dat er in Afrika niemand meer van honger de vlag streek. En USAID zou daarbij een kontje geven. Nou, dan weet je het wel (1). A prima facie klonk het best redelijk wat Kerry oreerde. Maar wat konden die eenvoudige zwarte keuterboertjes verwachten van USAID? Water? Betere bestrijdingsmiddelen? Betere organische methodes? Moderne hulpmiddelen? Had Osama een baard? John Heinz bedoelde namelijk zonder twijfel dat met de leuke genzaadjes van Monsanto en andere kanebraaiers je oogst instantly de pan uitvloog. En dat was niet alleen goed voor jou en Afrika, maar ook voor bekende Monsanto-aandeelhouders als Bill Gates en zijn wijfje, die zo graag zouden zien dat er wat minder volk op aarde rondzwierf. Dat laatste hield John Heinz gelukkig ook binnenboord. Waren de aanwezige Afrikaanse leiders onder de indruk van de preek en de kralen en de spiegeltjes die ze bij de Witte Huisdeur kregen uitgereikt? Of gingen ze voor een second opinion? Voor dat laatste hadden ze even door moeten hoppen naar het Mexicaanse Yucatan. Daar hebben eenvoudige bijenhouders vorige maand voor de kadi een giga-overwinning behaald op Monsanto en hun eigen regering. Eentje om in te lijsten. Lees dit en hopelijk komt u dan ook tot de overtuiging dat verzet soms helpt. Prettige dag nog verder en kijk uit. Er staat een stevig windje. (1) Oh, weet je het niet? Op naar onze zoekmachine! Asia’s dependency on rice cultivation for both subsidence and income is intuitively understood. The Food and Agricultural Organization of the United Nations (FAO) estimates the agricultural population of lowland rice cultivation in Asia to be over 470 million http://www.fao.org/docrep/003/y1860e/y1860e08.htm larger than the entire population of the United States. Improvements in rice cultivation would stand to lift hundreds of millions from debt and poverty. Conversely, the disruption of rice cultivation would threaten to mire hundreds of millions in deeper debt, inescapable destitution, and all of the negative socioeconomic implications that follow. Asia’s rice farmers produce between 1-2 harvests a year depending on the climb and climate of any given region. They do so to sell their rice, generally to mills who in turn sell the final product to exporters or for domestic consumption. Out of each harvest, rice farmers keep a portion for their own consumption, but the vast majority of what they grow is for income. The UK-based Rice Association claims there are up to 40,000 species of rice, http://www.riceassociation.org.uk/conte ... eties.html with a wide variety of characteristics suitable for different markets and uses. Rice farmers grow those which local, national and regional markets are best suited to move. In nations where subsidies are offered for rice crops, cheap, easy to grow varieties are chosen. More desirable or exotic species are grown by independent farmers who have developed their own cooperative with millers, marketers and exporters. The rice Asians eat depends on both economic and market realities. The impoverished eat what is cheapest and most easily available, but not necessarily that which is healthiest. In reality Golden Rice will do nothing of the sort. The promotion of Golden Rice is not unlike any given commercial endeavor. IRRI’s website links to articles like, “A senseless fight,” http://irri.org/blogs/golden-rice-blog/ ... less-fight which asks, “how could anyone in good conscience seek to thwart technology that has even a remote chance of tackling the problem of vitamin A blindness?” The appeal to emotions and sickly children diverts from the real threat Golden Rice poses to the very people it claims to be helping. People who grow rice, grow it to sell to markets. These markets are well-developed, based on indigenous agricultural technology and tradition, and linked to export markets with stringent requirements (many of which restrict or outright ban GMO). The introduction of GM rice for any reason, would threaten or potentially destroy the livelihood of hundreds of millions of people. Proponents of Golden Rice suggest rice farmers replace their profitable crops with genetically modified rice that will treat only one of many vitamin and mineral deficiencies they may or may not potentially suffer from, deficiencies that could be easily solved through other methods. Clearly illogical in terms of “helping” the malnourished, Golden Rice must serve another purpose. The author, in their attempt to defend Golden Rice, reveals the true agenda behind the otherwise useless crop. Governments, international organizations and the private sector (i.e. Monsanto, Syngenta, Bayer) will flood Asia with Golden Rice, where it will intermingle and contaminate rice species that have been in use for centuries and form the foundation of Asia’s historical and modern agricultural industry. The livelihoods of some 470 million people who depend on rice farming in Asia (not to mention those that import and consume Asian rice beyond Asia’s borders) would be jeopardized by the proliferation of Golden Rice disseminated under the dubious guise of humanitarian concerns. The marketing machine behind Golden Rice doesn’t ever seem to address this critical fact. That Golden Rice seeds will be kept and sown each year by prospective cultivators only increases the dangers of cross-contamination with other, economically and culturally valuable species. It is in all regards a flagrant attempt to infiltrate, corrupt and overtake rice production at its very geographical and socioeconomic heart. It is akin to a plague openly being designed, tested and prepared to be unleashed on a population. The spread of Golden Rice too is a plague that will compound exponentially the challenges already facing millions of farmers across Asia. When all it takes to solve vitamin A deficiency is what WHO claims is http://www.who.int/nutrition/topics/vad/en/ “supplementation” that costs “a couple of cents a dose,” and the growing of gardens that solve not only vitamin A deficiencies Golden Rice claims to target, but a whole host of other deficiencies Golden Rice most certainly does not address, the fact that Golden Rice is not what it is promoted to be is obvious. It is, as IRRI coined it, a “Trojan horse,” that will not only fail to stop malnutrition, but will expand the very destitution, poverty, and helplessness that causes malnutrition in the first place. It appears that an alignment with the EU carries with it a mandate to implement genetic engineering into its farming practices. Article 404 of the EU agreement, which relates to agriculture, includes a clause that has generally gone unnoticed: it indicates, among other things, that both parties will cooperate to extend the use of biotechnologies. There is no doubt that this provision meets the expectations of the agribusiness industry. As observed by Michael Cox, research director at the investment bank Piper Jaffray, “Ukraine and, to a wider extent, Eastern Europe, are among the “most promising growth markets for farm-equipment giant Deere, as well as seed producers Monsanto and DuPont. I think it is ironic, to say the least, that the EU, which has GMO labeling laws, is playing a key role in forcing Ukraine to accept GMOs. So much for labeling, eh? But let’s just keep on fooling ourselves into believing that the labeling movement is not about misdirection and spreading the cultivation of GMOs. It’s so much more comfortable that way. There are two key issues involved in the GMO debate: eating and cultivating. Approximately 2% of GMOs cultivated are actually used in our food supply. The other 98% are used for feed, fuel, and other purposes. 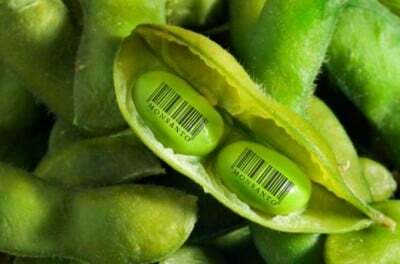 If cultivation goes unchecked, labeling will become a moot point since everything will be contaminated. Game, set, match. So, if I was a biotech pirate, I might want to concentrate the fight on labeling while cultivating as many GMOs as I could force down any weaker nation’s throat. A major factor in the crisis that led to deadly protests and eventually President Yanukovych’s removal from office was his rejection of an EU association agreement that would have further opened trade and integrated Ukraine with the EU. 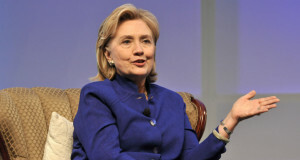 The agreement was tied to a $17 billion loan from the International Monetary Fund (IMF). Instead of the EU and IMF deal, Yanukovych chose a Russian aid package worth $15 billion plus a 33% discount on Russian natural gas. This deal has since gone off the table with the pro-EU interim government accepting the new multimillion dollar IMF package in May 2014. Don’t want the GMO package deal? Too bad, you’re out and pro-GMO forces are in. Just like that. The project proposes to improve the agricultural business environment by streamlining or eliminating 58 different procedures and practices by 2015. 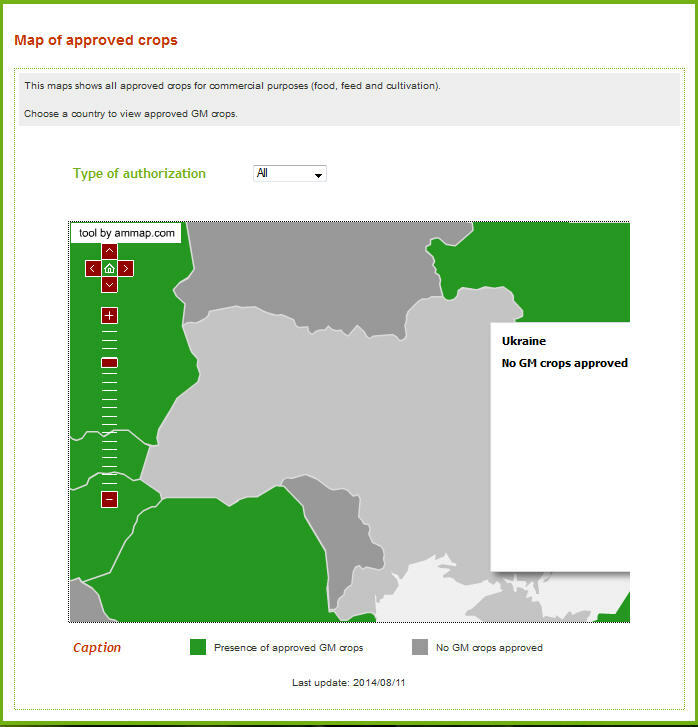 For instance, IFC advised the country to “delete provisions regarding mandatory certification of food in the listed laws of Ukraine and Government decree,” and to harmonize its laws with international standards around pesticides, additives, and flavoring, to avoid “unnecessary cost for businesses. When you see “harmonize” think Monsanto GMO takeover. It further revealed how the reforms of the Ukrainian economy and particularly of its agricultural sector that were tied to the $17 billion IMF deal sought to “bolster the confidence of foreign investors” by addressing the Ukrainian agricultural sector’s “red tape and inefficiencies. And this is not the first time something like this has happened. Just look at Iraq and El Salvador. 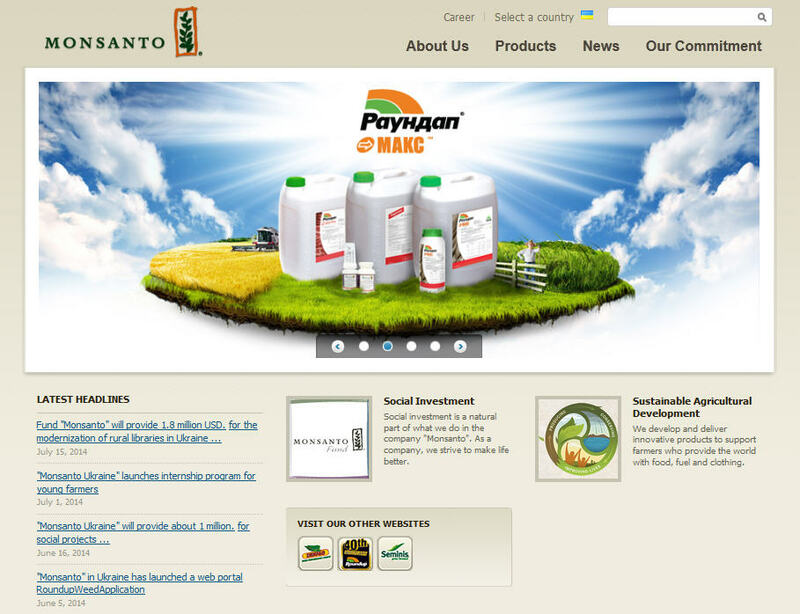 http://farmwars.info/?p=13246 El Salvador’s aid is tied to biotech agriculture, and Iraq was force-fed GMOs via Order 81. This is not a game, it is a wholesale takeover by biotech interests implemented by multi-national corporations masquerading as government entities. So, what do we in the US do? Why, we march, protest, and yell our heads off for what? 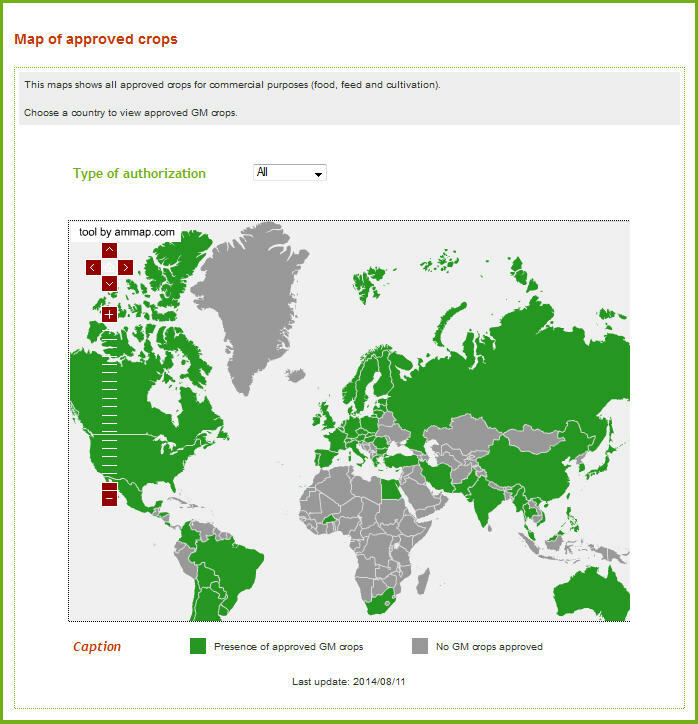 A ban on the cultivation of GMOs? Hell no! We call for labeling. We literally, fall down on our knees, accept defeat, and beg for Monsanto et al to please, pretty please, label the GMOs that we have given up on banning. We are being lied to, and it is time for a change. It is difficult at best when you realize that you have been unwittingly fighting for that which you thought you were fighting against. However, banning GMOs is the key. Labeling? Not so much. In fact, all of that energy spent on the labeling misdirection would be so much more useful if put to instituting local bans. Think about it. 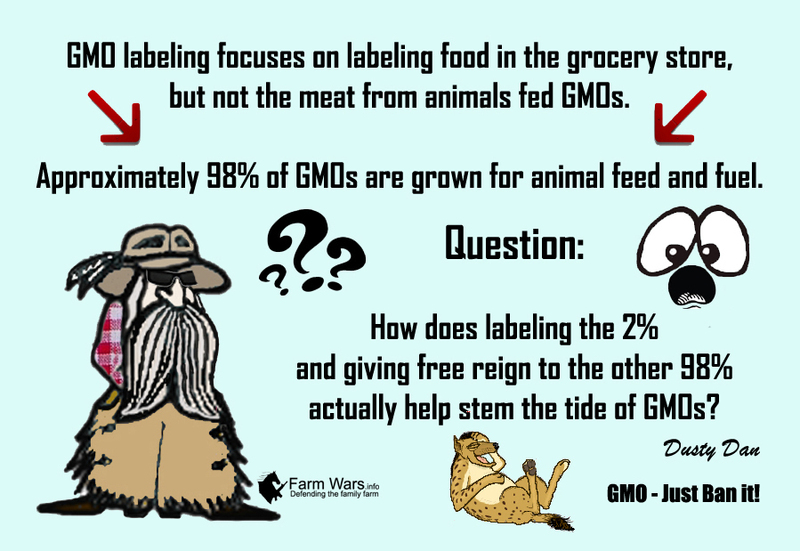 What good does a label do if what is behind that label is still GMO due to wholesale contamination? GMO labeling is a false fight. It is a distraction from the real fight of banning them completely. It is also a compromise. Labeling does absolutely nothing to stop the spread of GMOs. Just ask the people of Ukraine. Al eerder gepost in topic genaamd het "gedonder in de voortuin van Rusland", de zogenaamde "controlemissies" van buitenlandse militairen in een vijandelijk gebied met toestemming van de vermeende vijand. Ten tijde van de Koude oorlog bekend als SOXMIS, oftewel Sovjet Exchange Mission. Deze Sovjet militairen mochten in het kader van een militair liaisons verdrag in bepaalde gebieden observeren in West-Duitsland, met uitzondering van militaire en strategische objecten. En dit gold ook vica versa voor NAVO militairen in Oost-Duitsland. Met als propagandadoel om de veiligheid en de vrede te waarborgen. Natuurlijk werd er niet alleen maar waargenomen maar ook gespioneerd, zie ook de zogenaamde OVSE militairen in Ukraine. Onder het mom van veiligheid en vrede naar de buitenwereld toe terwijl er een hoger doel - lees spioneren/inlichtingen verzamelen - was en nog steeds is. Waar het ten tijde van de Koude oorlog het doel was om militaire objecten te bespioneren, wordt er tegenwoordig met de zogenaamde inspecties van de VN en de OVSE tevens het hele gebied in kaart gebracht, dus hoeveel industrie is er aanwezig, vruchtbaarheid van het land etc. Dit om alles te inventariseren en in kaart te brengen voor een regime change waar de westerse mogendheden hun voordeel uit kunnen halen. De teelt van genetische aangepaste gewassen kan makkelijker worden tegengehouden. Landen van de Europese Unie kunnen voortaan zelf bepalen een gewas wegens politieke of morele bezwaren te verbieden of beperken, zelfs als het gewas op Europees niveau is goedgekeurd. Nu mag een verbod alleen worden opgesteld als wetenschappelijk onderzoek heeft aangetoond dat de genplant schadelijk is voor het milieu. Dinsdag stemde het Europees Parlement in met een eerder bereikt compromis met de EU-lidstaten, na jaren onderhandelen. De regeling gaat in de lente van kracht zodra de lidstaten hebben ingestemd. Dat wordt gezien als een formaliteit. Op dit moment is het genetisch gemodificeerde gewas MON810, een maissoort, het enige gengewas dat in de EU is toegestaan. In 2013 verbood het EU-hof de genaardappel Amflora, terwijl de Europese Commissie in eerste instantie had ingestemd met de teelt en de handel van de genplant in de EU. Grote bedrijven vragen in groeiende mate patenten aan op natuurlijke eigenschappen van gewone groenten, zoals broccoli. Dat concludeert het televisieprogramma Zembla in de uitzending van woensdagavond. De tien grootste groentezaadbedrijven ter wereld hebben op dit moment negentien patenten op natuurlijke eigenschappen van groenten. 132 patenten liggen op dit moment te wachten op goedkeuring van het Europese Octrooibureau, meldt Zembla. Met patenten kunnen grote multinationals een monopoliepositie krijgen en vanuit die machtige positie kunnen ze de vrije toegang tot groentenmaterialen blokkeren. Zembla constateert dat de Amerikaanse multinational Monsanto, marktleider in genetisch gemodificeerde gewassen, op dit moment vijf patenten heeft op groenten en zestig patenten heeft aangevraagd: bijna de helft van alle aangevraagde patenten. Het Zwitserse bedrijf Syngenta heeft op dit moment vier patenten op groenten, en 26 aanvragen. Het grootste Nederlandse groentezaadbedrijf is RijkZwaan, met drie patenten en 25 aanvragen. Sharon Dijksma, staatssecretaris van Economische Zaken, zegt in gesprek met Zembla verontrust te zijn over de patenten: "Ik vind het zorgelijk dat de wereldvoedselvoorziening dreigt te worden geconcentreerd bij een paar multinationals. Ik vrees dat dit ten koste gaat van de keuzevrijheid van kwekers, telers en consumenten. Dit kan negatieve gevolgen hebben voor de voedselzekerheid." Monsanto reageert op het patent dat het bedrijf heeft op een broccoli met een extra lange steel: "We waren de eerste die het gelukt is om zo'n broccoli te ontwikkelen. Het is wettelijk toegestaan." Dijksma wil "verdergaande wijzigingen" doorvoeren ten gunste van de kwekers. "Maar daarvoor is in ieder geval wijziging van de Europese regelgeving nodig", aldus Dijksma. "Tijdens het Nederlandse voorzitterschap van de Europese Unie volgend jaar zal ik initiatieven nemen om dit te bespoedigen", aldus Dijksma.